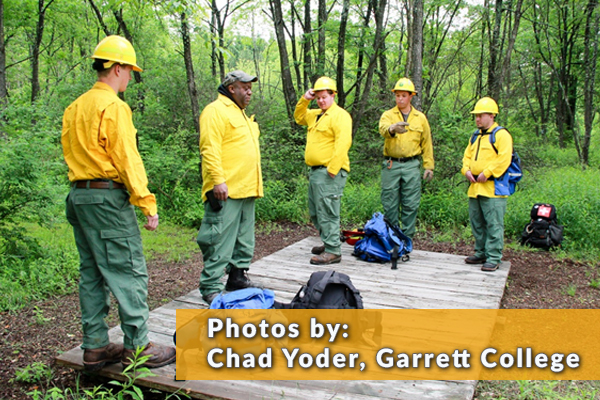 McHenry, Maryland — Students attending the eleventh annual Mid-Atlantic Wildfire Training Academy at Garrett College took part in field training exercises this week. 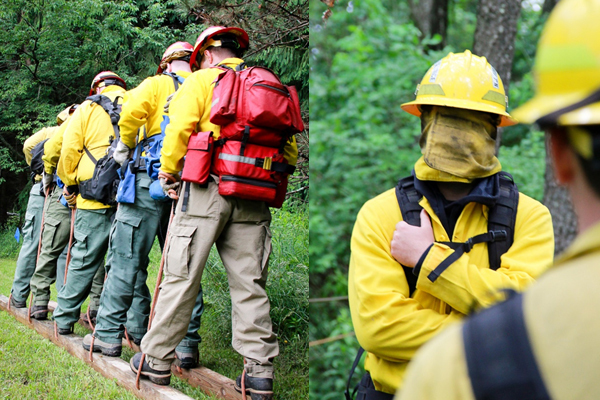 The L-280 “Followership to Leadership” course put students through their paces at the Garrett College Challenge Course. Field group exercises included the “Whale Watch”, the “Australian Trolley”, and the “Coal Miners Maze”. 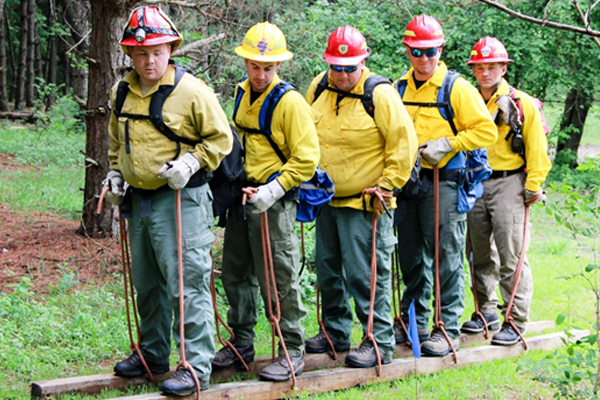 These exercises emphasize leadership skills critical for working with others in a high stress environment, such as a wildfire incident. 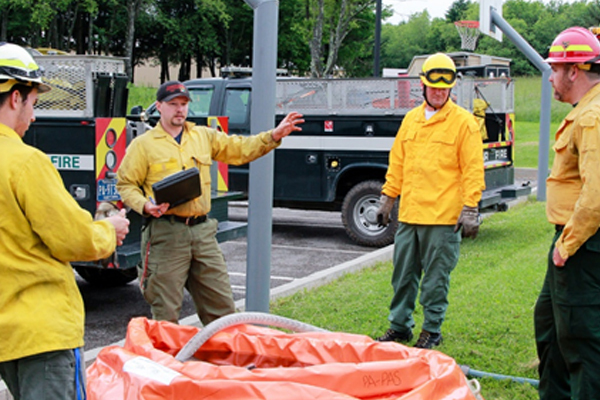 Students also practiced establishing a water supply and constructing a hose lay, simulating those skills used at wildfire incidents. 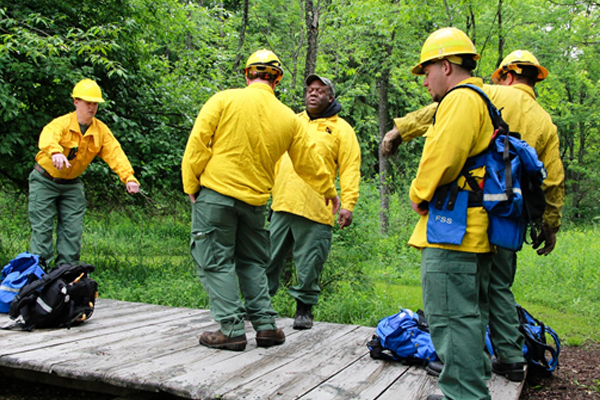 The Mid-Atlantic Wildfire Training Academy is presented by the Mid-Atlantic Forest Fire Compact, Maryland Department of Natural Resources and the U.S. Forest Service. 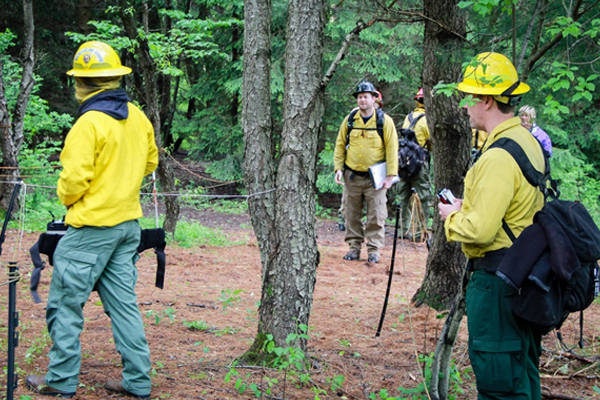 Seven states make up the Mid-Atlantic Forest Fire Compact: Delaware, Maryland, New Jersey, Pennsylvania, Ohio, Virginia, and West Virginia. 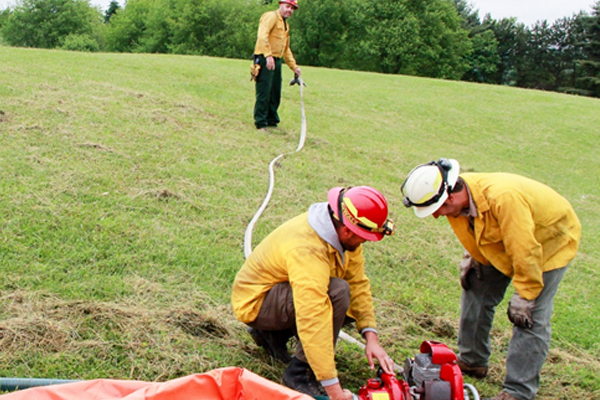 Compact members promote effective fire prevention and the control of wildfires in the Mid-Atlantic region.